When I was a newbie in the world of credit, I was quite apprehensive of credit cards. I had been warned about the infamous credit card debt. I had heard alarming stories of people suffering at the hands of credit card companies. I was scared to get myself a credit card. Little did I know back then that credit cards come with an array of benefits. If you can learn the tricks of the trade, you could use credit cards to save money as well as build credit. However, you must learn to use them wisely to enjoy its benefits. If you use them irresponsibly, you will invite trouble. It is better to understand how credit cards work before you venture into this financial adventure. A credit card is basically a plastic card issued by a financial institution that allows the cardholder to borrow funds from the issuer. Whenever you use your credit card for a purchase, you take a small loan from the card issuer. You have to repay the money within a preset date each month. When you wish to take a credit card, you approach a card issuing company or a bank and submit an application. The lender refers to your credit report and your credit score to check if you are worthy of getting a credit. If you qualify the requirements of the lender, a credit card is issued to you. Once your application for credit is approved, the lender evaluates your financial health and accordingly sets a credit limit. Your credit limit is the maximum amount that you can borrow. Your credit report influences the range of your credit limit. As you use the credit card, the amount you spend is known as your credit card balance. Each credit card has a billing cycle and a due date by which you must repay the money you owe to the lender. You could pay the balance in full or a portion of the balance as per the lender's policies. Payment networks like Visa, MasterCard, etc oversee and process these credit transactions. Paying off the balance in full ensures that you don't pay any interest on the borrowed amount; in case you decide to pay the minimum amount required, you should be prepared to pay a high interest as well. All credit card issuers report your activities to the credit bureaus. Credit bureaus are companies that prepare your credit report. TransUnion, Equifax and Experian are the three most popular credit bureaus. These bureaus use a complex mathematical algorithm to evaluate your financial activities and give you a credit score, which is a three-digit number, typically ranging from 350 to 800, that determines your creditworthiness. A small financial mistake, such as forgetting to pay your credit card bills within the due date, can reduce credit score. When you use a debit card to make a purchase, you are essentially using your own money, whereas using a credit card for purchase means borrowing the amount from the lender. Hence, your debit card is linked to your savings account and it pulls money out of your account. Both credit and debit cards have perks and reward point programs, but credit cards generally have more lucrative offers. 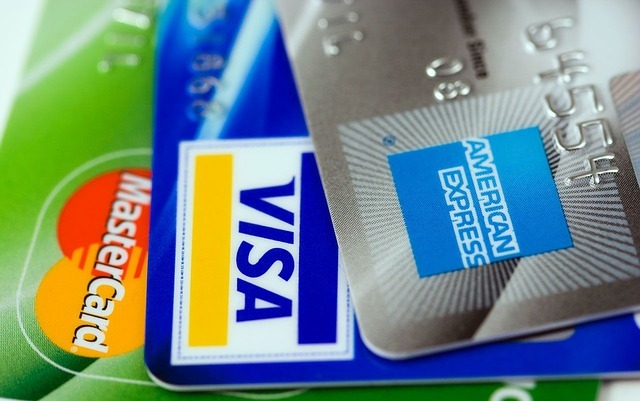 Credit cards have strong fraud protection policies which debit cards lack. Using credit cards are actually much more safe and reliable than debit cards. Additionally, credit cards build your credit history but debit cards don't. Many credit cards have reward programs and they give you something in return for your purchases. The 'cash back cards' cards give money in return; the 'airline credit cards' give airline miles or points which you can redeem for free flight tickets. Then there are 'travel cards' which you can use to pay for your travel expenses. 'Store credit cards' give loyalty points or discounts for shopping at particular stores. These cards offer a lot of tempting benefits but are generally difficult to get. You would need a high credit score to get one of these and these are ideal for people who pay their credit balance in full every month. Instead of rewards, low-interest cards provide lower interest rates. If you are struggling to repay your balance in full every month, this could be a viable option for you as it doesn't impose a high rate of interest on the balance that you carry. Few low-interest cards provide introductory offers of 0% interest for a limited time. You would need good credit to qualify for one of these. A balance transfer credit card comes in handy when you are in debt. It allows you to transfer a high-interest credit card balance to a new credit card that has a lower interest rate. You might find a few balance transfer cards which offer 0% introductory APR for a limited period. You can transfer your outstanding balance from multiple credit cards to a balance transfer card. It can streamline all your payments into a single payment, which is much easier to manage. These cards are designed for people who are looking to build credit but lack access to a regular (unsecured) credit card as they haven't yet established enough credit score. It is known as a "secured" card because it is secured by some money that you have to deposit against the card's credit limit. It could be a supportive start for someone without any credit history or for someone trying to rebuild their damaged credit history. First and foremost, credit cards help you build credit which gives you access to more credit opportunities in the future. Many cards give you sign-up bonuses or shopping vouchers. Rewards programs give you many benefits such as cash back and point redemption. Credit cards with 0% or low-interest rates can come of use if you wish to make a high-value purchase. Credit cards give you flexibility regarding payment. It is ideal to pay off the full balance; however, you have the option to repay the money over time. There are various fees and charges surrounding a credit card. If you learn responsible usage, you can easily evade these costs. APR: APR stands for Annual Percentage Rate. There are different types of APRs - the normal APR applies to the balance that you carry forward after paying the minimum balance in every billing cycle. The penalty APR is imposed on your balance when you miss a payment. Annual subscription fees: Some credit cards charge an annual fee, whereas some don't. You should pay an annual fee only when the card in question offers outstanding perks and benefits. If not, go for a credit card without annual fee. Late payment fees: When you make a delay in repayment or fail to pay within the due date, the bank or the card issuer can impose a late fee on the balance due. These charges are generally quite high and vary from company to company. Balance transfer fees: Balance transfer cards usually have a low rate of interest, but a few cards might ask you to pay a fee whenever you transfer a balance. You should check with the issuer before getting a balance transfer card. You must not forget to pay your credit card bill on time and preferably in full every month. Try not to use more than 30% of your available credit limit. Avoid applying for too many credit cards at a time; space out your applications with six months in between. Track your credit activities to stay safe from potential frauds. 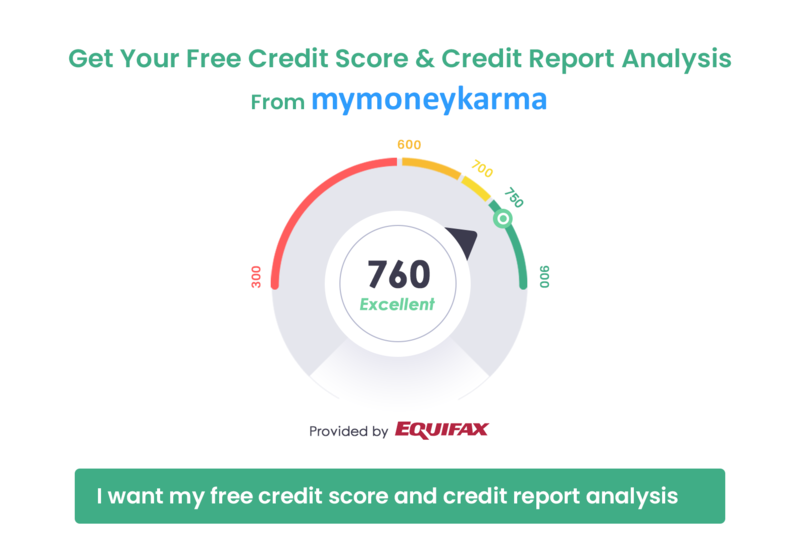 Use mymoneykarma's credit score tracker to stay updated with your credit score fluctuations. If you have old credit cards with no annual fee, try not to close that account. Just keep it active by making small transactions to ensure a long credit age. Learn to improve your spending habits and develop responsible financial behavior. Direct each financial step towards building a steady financial history.